IS HE THAT MUCH SMARTER THAN HIS ADVISORS? OR WOULD HE SIMPLY RATHER BE GOLFING? The Obama administration just released arguably the five most dangerous Taliban leaders detained at Guantanamo Bay in exchange for Army Sgt. Bowe Bergdahl. And it appears the president knowingly and willingly broke the law in doing so. Under the National Defense Authorization Act, signed into law by Obama last year, the administration was required to notify Congress 30 days in advance of any such action. And even if the president can somehow find “legal” justification for what he did, he did not abide by the law. Even Senate Intelligence Chairwoman Dianne Feinstein, D-Calif., said that it was “very disappointing” that President Obama decided not to alert Congress about the deal, suggesting a low “level of trust” at the White House. Taliban leaders are reportedly hailing the release of the five prisoners as a major victory over Obama and the U.S.
President Obama was defiant in his remarks that he will “make no apologies” for a trade in which he openly admitted the possibility that these leaders may “return to activities that are detrimental to us,” despite families who still mourn the loss of six brave American troops who died while searching for Bergdahl after he went missing five years ago. So who were these five Taliban leaders Obama released? One was Abdul Haq Wasiq, a Taliban deputy minister of intelligence who reportedly used his office to support al-Qaida and to “assist Taliban personnel in eluding capture.” Wasiq has been accused by Human Rights Watch of mass killings and torture. Mullah Norullah Noori, a senior Taliban military commander, is described as a military mastermind who engaged in hostilities “against U.S. and Coalition forces.” Noori has been implicated in the murder of thousands of Shiites in northern Afghanistan and reportedly “does not express any regret” for his actions. Mullah Mohammad Fazi, a former Taliban deputy defense minister, was held at Guantanamo after being identified as an enemy combatant by the United States. He’s also wanted by the United Nations on war crimes for the murder of thousands of Shiite Muslims in Afghanistan. Mohammad Nabi Omari, a senior Taliban leader, once held multiple leadership roles in various terror-related groups. Nabi reportedly helped al-Qaida operatives smuggle missiles in Pakistan for use against the U.S. and coalition forces. So what would prompt Obama to bypass Congress to trade these Taliban militants for a questionable soldier and risk retribution against the U.S.? The president’s argument that “we don’t leave our men or women in uniform behind” is pretty hollow given his failure to act in Benghazi. This is one decision which may return to haunt the Obama legacy. The Obama administration faces yet another scandal. As if the ongoing investigations into Benghazi, the IRS, and the Justice Department weren’t enough, the president and his administration now face a scandal involving the possible mistreatment of our brave military veterans. Evidence is mounting showing the Department of Veterans Affairs (VA) has been keeping “two” sets of books in some of its hospitals to make it look like they were reducing wait times experienced by military veterans before seeing a doctor. The VA, which has long been the target of complaints of delays and dysfunctional bureaucracy, made the commitment in 2010 to introduce a new appointment system for veterans designed to reduce wait time for an appointment with a primary care physician or specialist in one of its hospitals or outpatient clinics. It’s surmised the pressure felt by the VA to meet the increasing demands of veterans returning from the wars in Iraq and Afghanistan compelled them to “cook the books” to make it look as if they were indeed making the headway expected from a department that’s received substantial increases in taxpayer funding. Even more damning are the allegations from a “whistleblower” doctor in Arizona who claims dozens of patients at one hospital died while languishing on a “hidden” waiting list without ever being given as much as an appointment. In an interview with CNN, Sam Foote, a retired VA doctor of 24 years in the Phoenix area, revealed that as many as 40 patients had died after being placed on a secret waiting list and that officials at the hospital actually shredded documents and faked evidence to cover up their actions. Since then, numerous whistleblowers have alleged similar practices in at least seven other VA hospitals around the country claiming that officials at the hospitals were sometimes even paid bonuses for reducing “declared” wait times. Sen. John McCain, R-Ariz., took the Obama administration to task last week for being slow to react to what he called “a systemic, cultural problem” inside the VA. Exacerbating the problem for Americans is that once again we’ll see no independent investigation into the matter. The VA secretary, Eric Shinseki, will oversee an “internal” investigation. Now with all due respect to the retired Army general who was himself wounded twice in Vietnam, Shinseki should recuse himself from oversight of the investigation and allow an independent counsel to conduct the inquiry. But this follows a familiar pattern within this administration that totally contradicts Barack Obama’s promise of transparency and a new era of “openness in government.” Team Obama has excelled in sweeping their liberal dirt neatly under the White House rug. Failing our brave military veterans in this manner is inexcusable, and it’s time to hold this administration accountable. 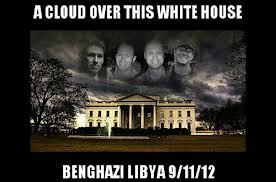 Americans deserve answers, not more cover-ups. President Obama once asked Vladimir Putin for “space” to focus on winning his 2012 re-election bid so he would be better “positioned” to “deal” on controversial issues. While chatting with outgoing Russian president Dmitry Medvedev during the Nuclear Security Summit in Seoul, Korea, Obama said he would have “more flexibility” on issues such as missile defense after he secured the presidency. This exchange between presidential “comrades” captured by the White House press pool and Russian reporters characterizes the foreign policy appeasement strategy employed by Barack Obama. Unfortunately, I believe we’re witnessing this president mirror mistakes eerily similar to the appeasement strategies offered by Western democracies in the 1930s that eventually put Adolf Hitler in a position to start World War II. In what some have termed “moral cowardice,” Britain and France attempted to mitigate Germany’s demands through negotiation and compromise. But Hitler perceived this as weakness and was emboldened to heighten his aggression. After seizing power in Germany, Hitler pursued a foreign policy thirsty for undoing the effects of the Treaty of Versailles, which banned him from re-arming his military and regaining territories lost at Versailles. Hitler was desperate for more land, especially land rich in fossil fuels. And he was prepared to gamble that other European powers would be reluctant to go to war to stop him. He knew Europe’s economy was still recovering from World War I and military prowess had become secondary to bolstering social welfare programs. As Hitler’s forces penetrated deeper into Poland, Great Britain and France were eventually forced to declare war on Germany, hence World War II. Is Vladimir Putin, a man who once called the collapse of the Soviet Empire “the greatest geopolitical catastrophe of the century,” once again testing the backbone of Western democracy? While Putin isn’t Hitler, he’s certainly ambitious enough and his potential for devastation is greater than anything the world has ever known. Our nation was reminded of the dangers of liberal appeasement in Ronald Reagan’s “A Time for Choosing” speech in 1964. Appeasement has a bad track record. And untenable tyrants only view it as a sign of weakness. 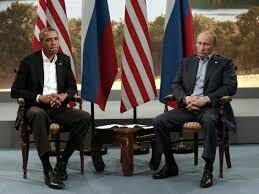 Dictators like Vladimir Putin only respect strength. Do Americans have a fundamental right to privacy from government intrusion into their lives? The right to privacy, in many ways, has been taken for granted to some degree by the American people. Each of us has grown accustomed to having the liberty to establish varying boundaries in our lives that we simply expect others to respect. But the right to keep those boundaries might be in peril. While the Constitution contains no “express” right to privacy, courts have ruled the Bill of Rights creates “zones of privacy” which protect us from government intrusion in many areas of our lives. Our Founding Fathers believed that smaller, less intrusive government was necessary in enabling Americans to be free. I’ve been tentative about weighing in on National Security Agency (NSA) systems analyst Edward Snowden and his “whistle blowing” of our government’s security techniques to the world. But it’s time Americans begin processing how this information may impact our future personal freedoms. Snowden revealed a top-secret program code-named “PRISM” operating under the provisions of the 2008 Foreign Intelligence Surveillance Act, which the government uses to collect personal data from American citizens indiscriminately and regardless of suspicion of wrongdoing. Investigations have confirmed that data such as video chats, photographs and emails are collected from the servers of nine leading U.S. Internet companies, including Microsoft, Yahoo, Google, Facebook and other online companies. My position has been this is an infringement upon the privacy rights of Americans. While Snowden “appeared” courageous in his whistle blowing, he should have presented his case through the proper venues — an error which will likely keep him from ever returning home. But then last week, two leading members of the House Intelligence Committee revealed a classified Pentagon report that found Edward Snowden’s leaks have compromised U.S. military tactics and put troops in danger. Republican committee chairman Rep. Mike Rogers and ranking Democrat Rep. C.A. Dutch Ruppersberger said that Snowden stole approximately 1.7 million intelligence files that “concern vital operations of the U.S. Army, Navy, Marine Corps and Air Force.” Since this information has already aided the enemy, Snowden is now pegged a traitor. It’s important for Americans to maintain perspective here and not be swayed by political affiliation. 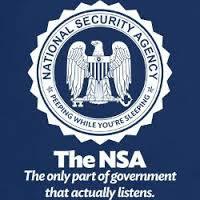 Our government has been exposed (albeit by a traitor) “experimenting” with the boundaries of privacy afforded by the U.S. Constitution. In 2013, President Barack Obama, himself a constitutional lawyer, told Americans they were “going to have to make some choices” balancing privacy and security and defended the NSA surveillance program vigorously. Consider this: If our privacy isn’t protected by the Constitution, what then, defines the government’s limitations? Americans should never be asked to give up fundamental rights to gain the government’s protection. That’s a dangerous step backward. Well, five years into the Obama presidency, Americans are balking at their willingness to take this president at his word. Among a laundry list of examples contributing to this sentiment is the administration’s lack of forthrightness in the terrorist attack on our consulate in Benghazi, Libya, in September 2012. A recent survey, commissioned by “Secure American Now,” and conducted by pollsters John McLaughlin and Pat Caddell, revealed that 63 percent of Americans believe the president and his administration are covering up the facts of the siege that killed information officer Sean Smith, former Navy Seals Tyrone Woods and Glen Doherty and Ambassador Chris Stevens. Those following the tragedy’s timeline remember the Obama administration attempted to blame the pre-meditated attack on an obscure video mocking Islam and the Prophet Mohammed, but later was forced into admitting the storming of the consulate was indeed a calculated terrorist attack thanks to a pursuit of truth by a few patriotic Americans. Subsequent investigations disclosed there were survivors who were present the night of the onslaught who could possibly shed light on the events that transpired during the senseless massacre. For example, why did the Obama administration falter in providing military support for the ambassador and his aides and who issued the “stand down” order? Also, why did the administration attempt to downplay terrorist involvement in the attack and why the obvious resolve to prevent testimony from surviving eye witnesses? For more than a year since the attack, Congress has tried repeatedly to gain access to these survivors, with little success — until now. Last week, three CIA security officers who were present during the attack testified in a closed-door session before the House Intelligence Subcommittee on Oversight and Investigations. The men were described by sources as former Navy SEALS, Army Special Forces and Marines, under contract to guard CIA agents on the consulate grounds. Their identities and information regarding their testimony have not been released. However, information obtained recently by Fox News revealed that at least five CIA personnel, including government contractors, were asked to sign “non-disclosure” agreements regarding the Benghazi attack. While such agreements are standard protocol, it’s unclear why these individuals were asked to complete a second agreement following the incident. Why does it always appear the Obama administration seems to be working harder trying to hide the truth than it does pursuing it? While this administration falls way short of delivering its promise of transparency, more Americans are clearly beginning to see through this president.